Looking for things to do in Utah? 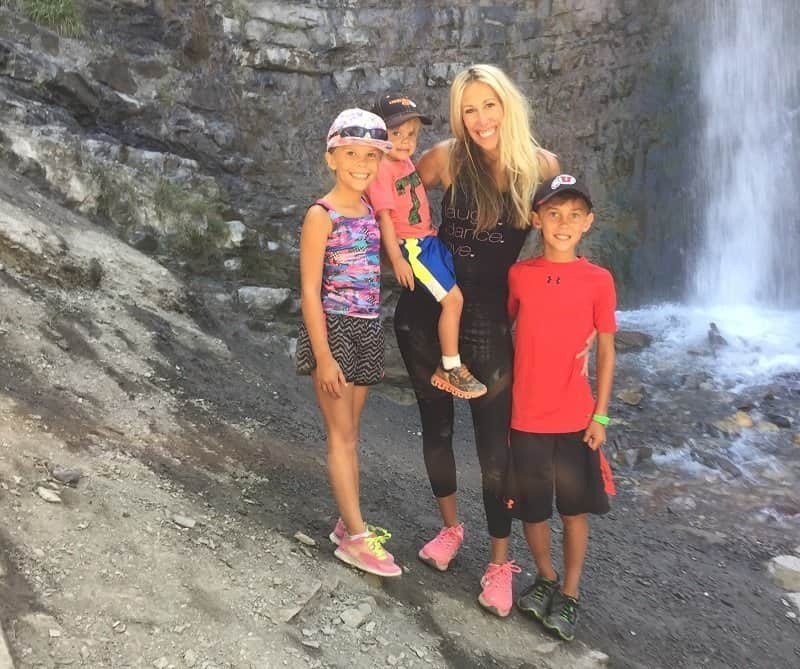 Follow me here as I travel around and share a few of my favorite things to do with my family! For more pics and fun also follow me on Instagram @melisaosmond. I love this hike; it’s easy and perfect for kids. It has a fun waterfall at the end to enjoy. The whole hike there and back to the waterfall is only 1.4 miles. It has some shade along the way and it is a popular hiking spot, so you’re not alone on the trail with your kids usually, but it also won’t be crazy packed. Get some moms together and take your little ones during the day. Bring some snacks and the little kids will feel really big being able to go on a hike with mom. The falls at the top are so beautiful; it is a great picture spot to remember your fun. It stays open until October. 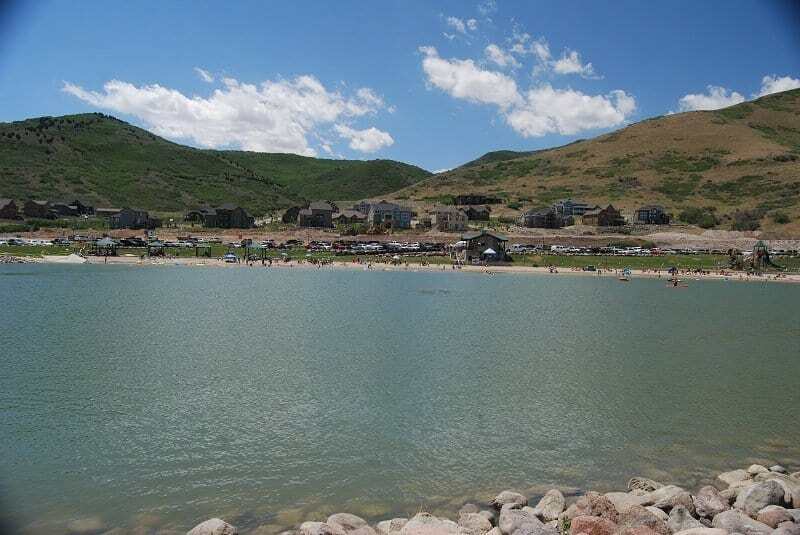 Herriman Lake is a super fun place to sneak in some summer fun. It is located in Herriman and is open to the public until October 15th. It gets really busy during the heat of the summer, but with kids back in school, this is the perfect thing to do with your little ones. I recently went with my mommy friends and it was warm, breezy, sunny, and peaceful. There were only a few others there and the kids loved it. They played with sand toys and in the water and at the playground. It’s equipped with bathrooms, which is very nice. We brought snacks and it was the best morning. We enjoyed the sunshine without it being blazing hot. Best part of this activity is it is free. Go have fun. The kids will love it and so will you! 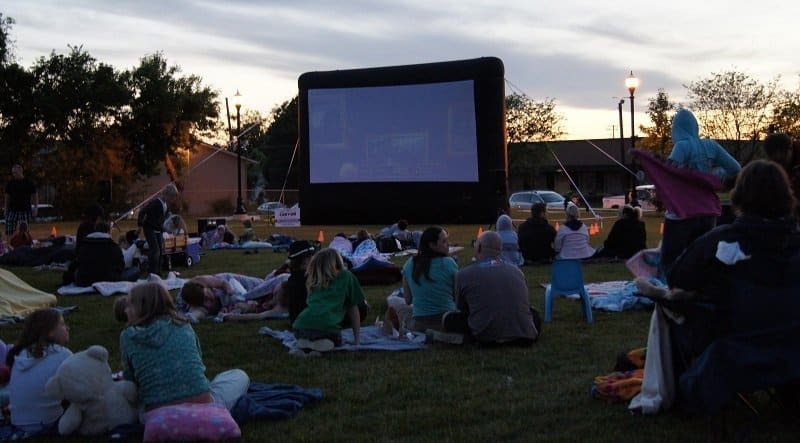 Nothing says summer nights like a movie in the park. 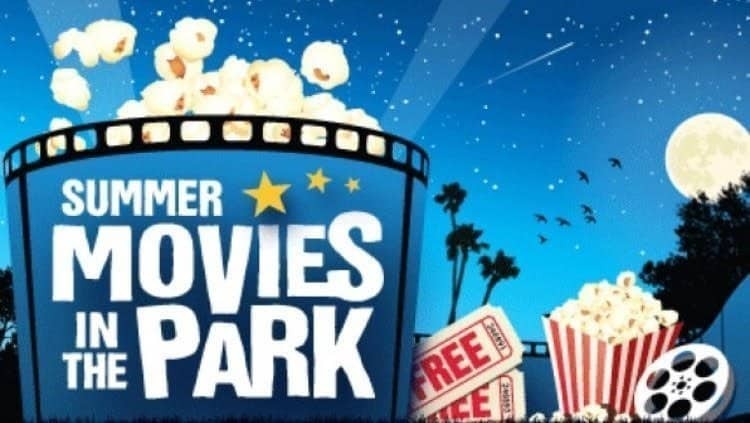 The City of Kaysville does Movies in the Park at Heritage Park (250 N Fairfield Rd) throughout the summer. The last movie night is Saturday, September 17th. It starts at dusk, when the sun starts to go down, so you want to get there before 8 pm. Bring chairs, blankets, and your favorite movie snacks. The kids will love one last summer movie night. Everyone is in for a real treat because they are showing “Zootopia”, everyone’s favorite. This is a FREE event, which is the best part. This is the cutest summer event that Station Park puts on for the community. They do it the first Monday of every month. I just went to it with my family on September 5th, but don’t worry, they are doing one more to sneak in a little more summer on Monday, October 3rd. It is a free event with booths set up offering all things free. They have face painting and balloon artists. On October 3rd they’ll have two villain characters there as well for the kids to meet and take pictures with. They have different companies sponsoring booths with free candy and a chance to spin the wheel and win free things. They have a great playground right there as well that the kids love! The best part is it is all free, and it is at the most amazing shopping mall ever. It has the most beautiful fountain in the middle with all the stores you would ever want and great food options too. This is something your kids will love!! If you’ve never been, go, and if you have been you know it really is the best. 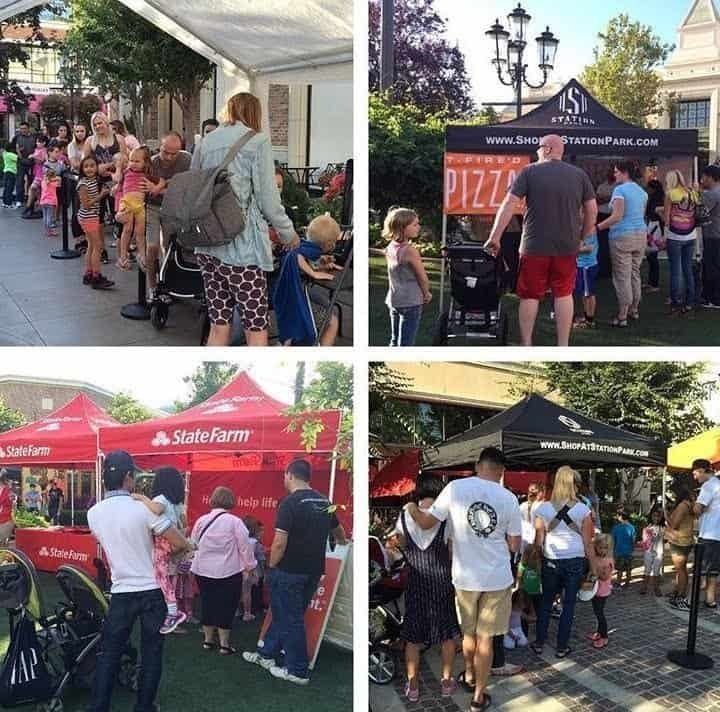 I love free events like this for families. They always get my vote! Cafe Rio is a family favorite! You can take your whole family and eat for less than $15 with the free kid’s quesadillas! They currently have a brand new Spicy Green Chile pork and a new look in their American Fork Location. It is the 2.0 Cafe Rio look, with a more sophisticated look with the same great taste! They also have a brand new “On Demand Line” equipped with a pager when you order for faster service! 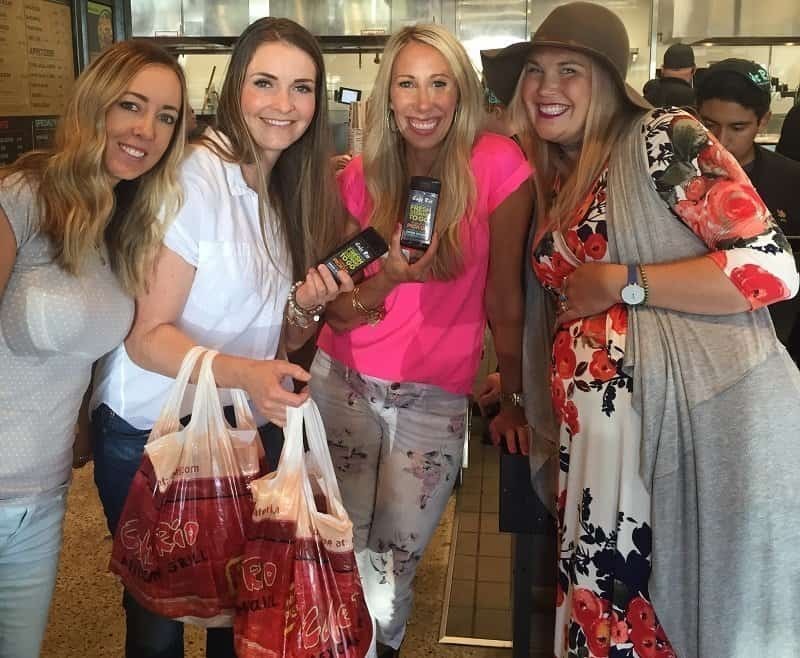 I got to go and invite other awesome mommy bloggers to try it out. 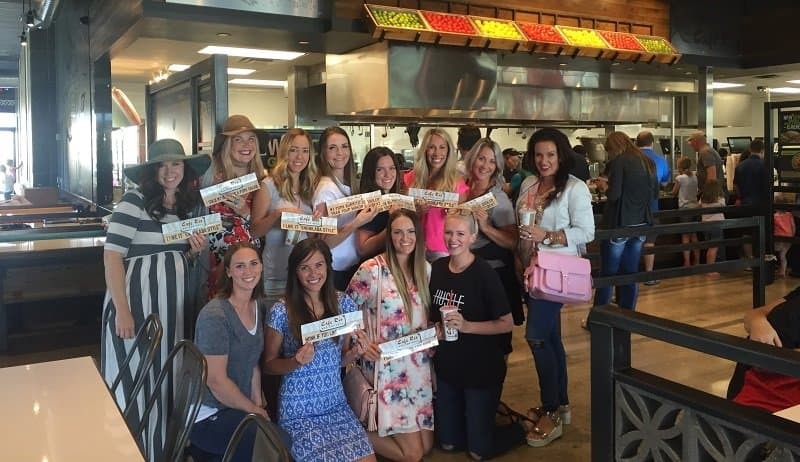 We had a blast, and Cafe Rio is a great place for a ladies lunch! And how funny is this quote “My mind says go to the gym! But Cafe Rio is closer.” Go enjoy the new look and new style of burrito. A favorite part of our staycation is playing at the pool at The Grand America hotel! We started our staycation about six years ago. 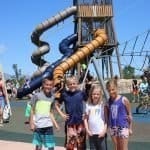 We decided by the time we drive or fly out of state, buy tickets to a theme park, get a hotel, and more, we could go to Lagoon and stay at a great hotel in town for less. It has stuck, and our kids look forward to it every year! The Grand America is so kid-friendly, and the pool is perfect for kids. It is as shallow as 3 ft with the deepest part being 4 ft 3 in. Emy learned how to swim in this pool. It has a hot tub and a separate baby pool. The staff is always so nice to the kids. It’s never really packed and has super soft lounge chairs and cabanas to lie in and see your kids at all times. My kids love the free samples they bring around, and lunch by the pool is awesome! We truly do this every year. 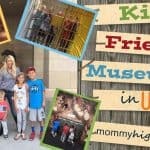 I don’t think a lot of Utah mamas think this is a hotel for kids so I wanted to share. They have a promotion that you can get a room and then get a $100 credit to use anywhere in the hotel…lunch, dinner, spa, or even the toy store. It’s a great deal. Also, they do the cutest movie nights at the pool for guests(don’t forget your goggles or pool floaties). They have cotton candy, popcorn, drinks, and treats. The next movie night is “Zootopia”. This is our family favorite! The best part is the drive home after a staycation is only 30 minutes, give or take. 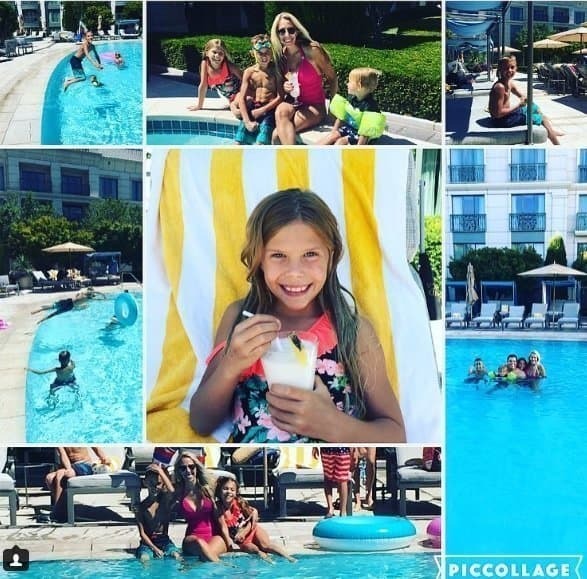 Take your kids to the Grand; they’ll love it! 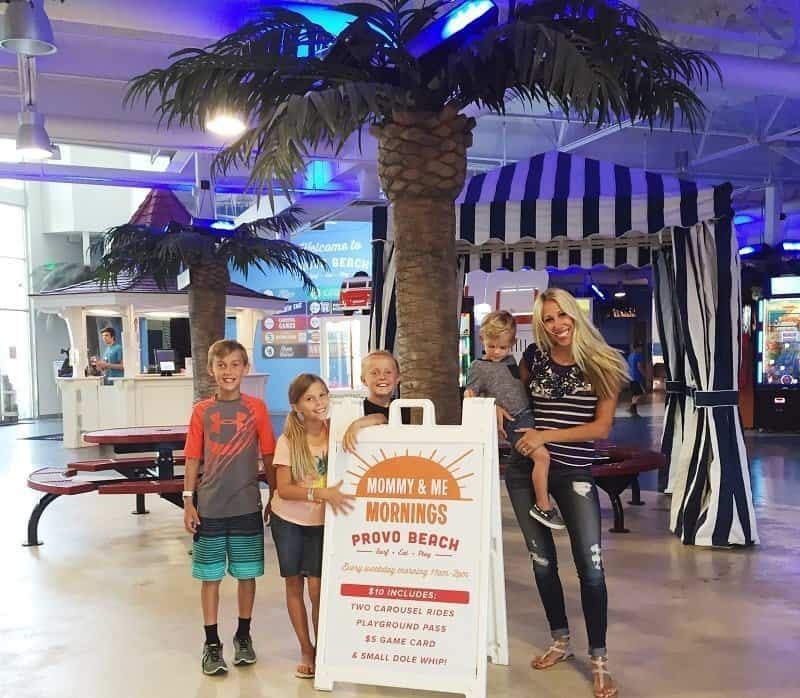 I took my kids to the Provo Beach in Provo, at The Shops at Riverwoods. They have the coolest program for kids. It’s called Mommy and Me Mornings. 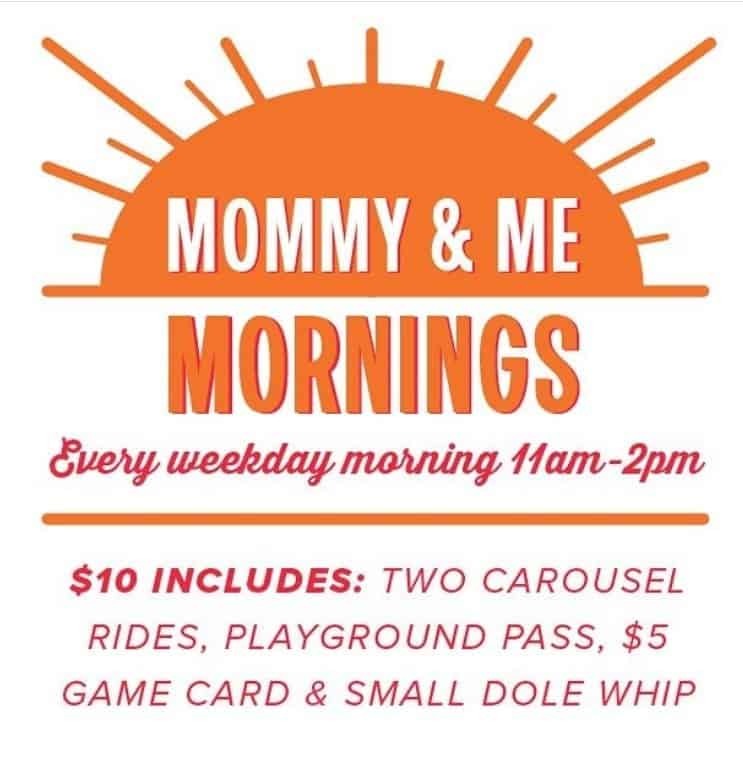 Every weekday morning from 11 am-2 pm you can take your kids and for only $10 you get: two carousel rides, playground pass, $5 arcade card, and a small Dole Whip! That is an awesome deal! I took my three kids plus a friend, and they loved it. I don’t think many mamas know about this, so I thought I would share the fun information. Enjoy the fun! An added perk is there is fun shopping right next door and a Splash Pad right outside. It’s so fun. Also, like my friend said, “You had me at Dole Whip.” Go and enjoy! 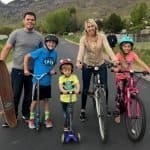 I like sharing fun ideas of what to do with kids here in Utah! You can find more information at www.provobeach.com.